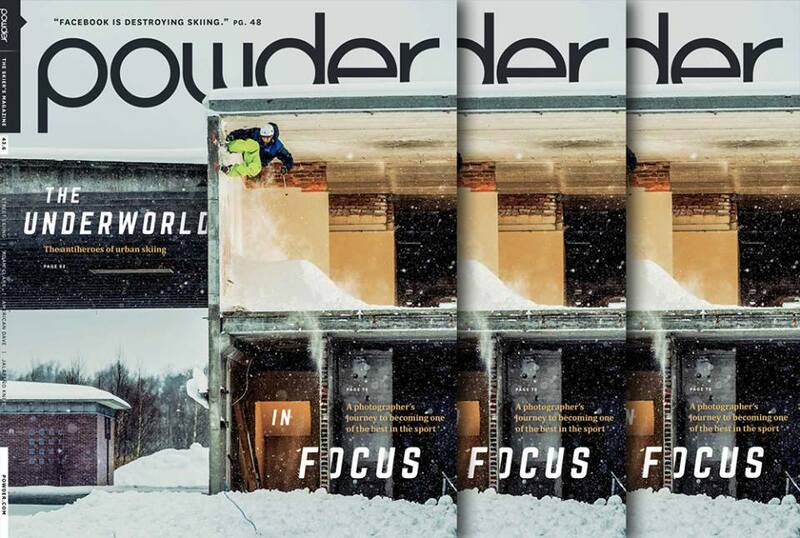 Anders Backe takes his skiing to the top shelf for Powder’s first urban skiing cover. PHOTO; Powder Magazine. For 43 years, the POWDER cover has been coveted real estate for dreamy powder shots from iconic locations around the world. But this February, POWDER flipped the script, going with the first urban skiing cover in their history, acknowledging the growing movement within our sport. 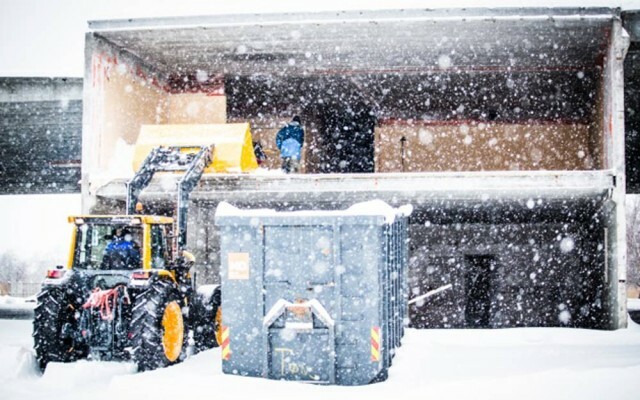 The shot, a raw image of a construction zone wall ride in a Norwegian resort town, was taken by local photographer Daniel Tengs and features skier Anders Backe. It stood out for it’s originality and Dwell-like aesthetic and general badass-ness, but it’s the story behind Tengs’ photo that really brings the shot full circle. The Skier's Magazine caught up with photographer and skier to hear more about their historic cover shoot, and learn a thing or two about construction zone negotiations. POWDER: What does it mean to have the first urban cover in POWDER history? Daniel: It is really cool that I got the first urban cover. I am generally super happy about getting the cover in any magazine in the first place, but it being the first urban as well is just a huge bonus. Why does did this shot stick out to you guys? Anders: I have seen some different wall rides before on the outside of a building, but taking it from the inside out is something new and what I think is the cool part about it. Also, doing it from the top floor to “maximize” the spot and Tengs doing the framing with some nice and clean lines makes the shot for me. Anders Backe and Daniel Tengs build a cover shot with a little help from their friends. PHOTO: Daniel Tengs. Where were you guys shooting that day and why did you choose that spot? Daniel: We were shooting in Tønsberg, a place in Norway that is usually a summer vacation location. It doesn’t usually get much snow, so when we heard that they had some snow Anders and I decided to check it out. We drove into town and we spotted this house right away. You kind of got busted there, right? Could you walk us through what happened? Daniel: We heard a guy screaming and saw him running towards us—he was furious. He was a construction worker, and we were inside a building that they were tearing down. We told him our plans and that we were just skiing, and then he got super stoked. He asked if we wanted any help with building the landing, towing, and whatever else. Anders has a digger license so he just shredded around and fixed the landing and kicker with one of their tractors. We got towed in with a Hummer and dragged the rope through the house, past the kitchen, living room, bathroom and all the way to the other end—pretty cool in-run, I must say. 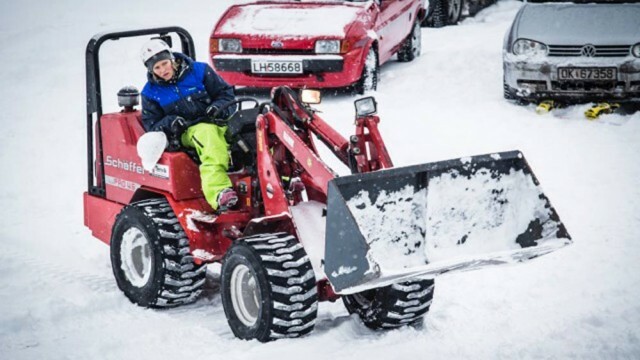 Park skier, urban wall rider, and tractor driver, Anders Backe is a true Renaissance man. PHOTO: Daniel Tengs. Has anything like that ever happened to you before? Why do you think the guy changed his mind? Anders: It’s like that sometimes. They are skeptical in the beginning and, suddenly, if you get the right talk going with who you are and mention some well known sponsors, they flip around and we can almost do whatever. That or they aren’t a fan of any sports and just want us out of there before they call the cops. I think this dude was all about acting like the chief and then was trying to fit in as the cool and young guy, so he gave us the permission. Daniel: Yeah, I think he was so stoked that we were not out fighting and drinking, and he wanted to watch some tries. Have you stayed in contact with the guy? Does he know he helped build a cover shot? Daniel: I did send him the pictures, but we haven’t had any more contact than that. Why do you guys ski and shoot urban? Daniel: I shoot urban because I enjoy it, it is a quick way to get shots, and you can watch people get creative in so many ways. After shooting rails for a few years, I must say it gets boring, but doing creative street skiing is so much cooler. Before the season starts I always think, “Why am I doing this?” But once I get going, it is like, “Ah, that`s why.” It is so much fun.